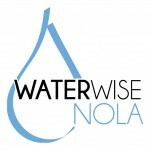 We are proud to announce the formation of our first regional stormwater interest group, the Regional New Orleans (RNO) chapter of LUSC. If you choose to subscribe to this chapter, you will receive additional information specific to the New Orleans area. This is only extra information; you will still receive all the statewide updates and information about workshops that LUSC members receive. If you are not already a member of LUSC, click HERE to subscribe and become a part of our email list, and make sure to check the box that you are interested in Regional New Orleans updates. If you are already a member and wish to add Regional New Orleans updates to your subscription, please click on the “Update Subscription Preferences” link at the bottom of one of the email updates you have received from us, and check the box to subscribe to Nola area information. Check back soon for more updates as we develop this exciting new chapter of LUSC!